Exclusive: North Korea's Samjiyon tablet -- Made in China? One of the most interesting questions surrounding North Korea’s Samjiyon tablet is its source. State media reports not withstanding, the tablet is almost certainly not made in North Korea — the country just doesn’t have the electronics manufacturing capability to design products like tablet computers from the components up. And anyway, why bother? Companies in Taiwan and China offer many finished tablet designs that are widely used, even by well-known western brand names, so why go through the work and expense of designing something from scratch? 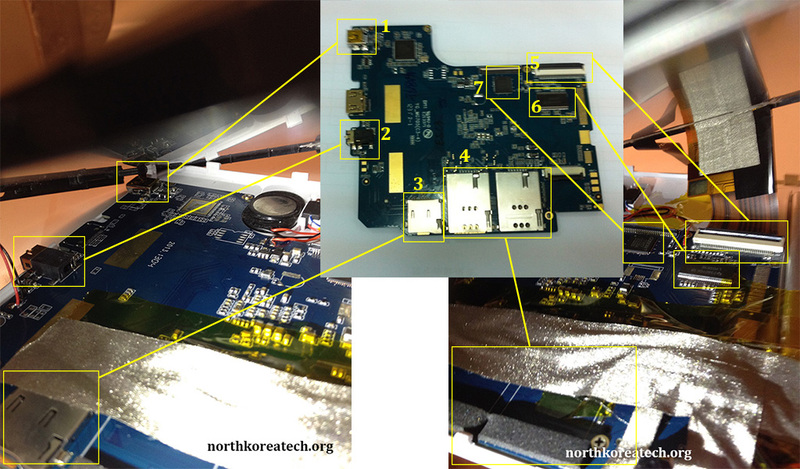 North Korea’s IT expertise is in software and that’s where the Samjiyon is very North Korean. There are several domestically-developed software apps and packages, education materials for local kids and other enhancements. The hardware however isn’t different at all from Android tablets on sale in other countries, with the sole exception of a analog TV tuner for local broadcasts. A little detective work, digging through configuration files buried within the Samjiyon and some Internet sleuthing has revealed the likely source. This identifies the tablet as a Yecon 75 and the manufacturer as Alps. Yecon is a Hong Kong based manufacturer of motherboards for tablet computers. 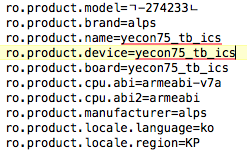 Alps — not to be confused with the Japanese electronics component maker — appears to be a tablet maker. I’ve found a few references to Alps MID (mobile Internet device) tablets that look similar to the Samjiyon, but nothing perfectly aligns yet. 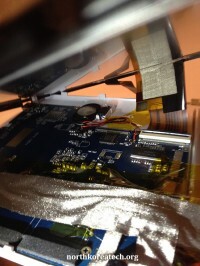 Yecon’s website shows images for several tablet circuit boards, which are premade for packaging with a screen and other components. One in particular stands out, the MG705. Take a look at the photo below. 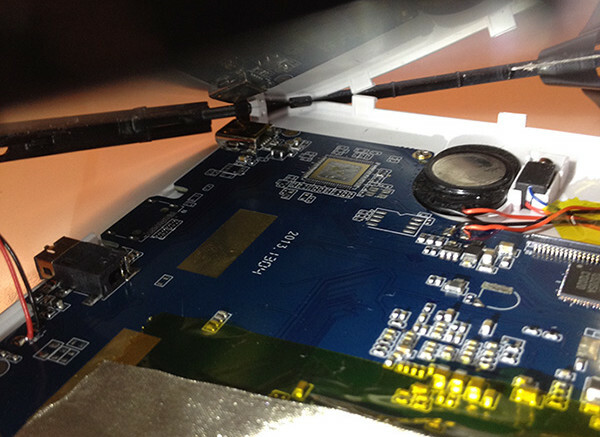 The right hand side of the board, as seen in this photo, would be the top of the tablet. There’s a couple of SIM card slots and a memory card slot. 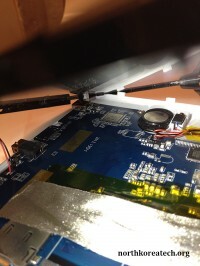 Along the lower side of the board, which would be the right hand side in the tablet, are more connectors, including an HDMI connector in the center. Now take a look at the inside of the Samjiyon (click image for larger version). Looking closer will reveal the two boards are almost identical. There are a few minor differences, and that’s probably because they are slightly different versions of the same design. You’ll also notice some of the capabilities of the board, such as the dual SIM card slots shown as feature 4, are not present on the Samjiyon board. The HDMI video socket, between features 1 and 2 on the Yecon board has also not been installed on the Samjiyon. The Yecon board isn’t exclusive to the Samjiyon and so it’s possible to see very similar tablets on sale from other companies. 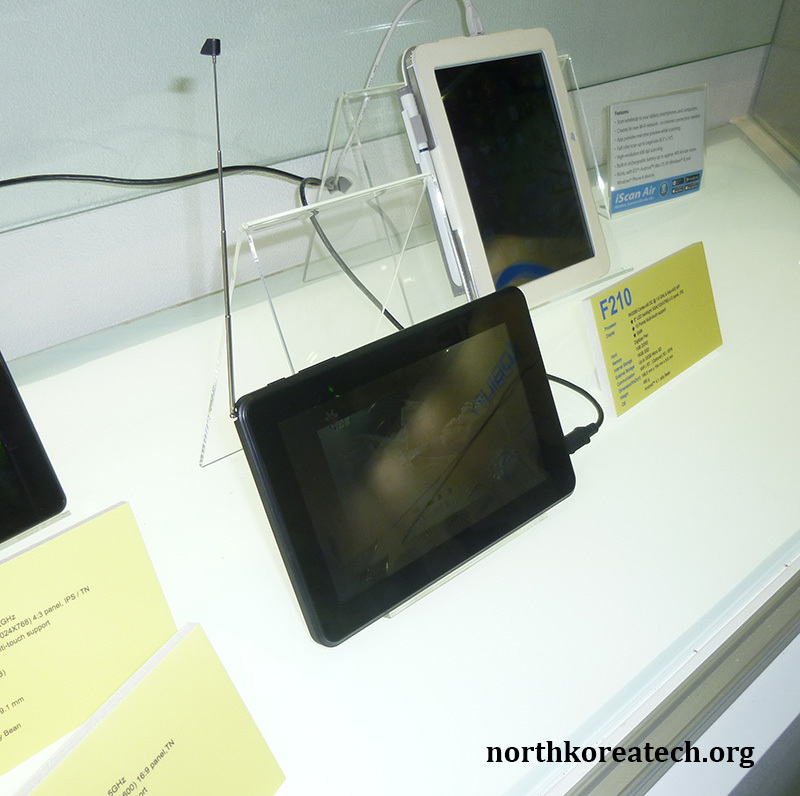 For example, at this year’s Computex IT show in Taipei local tablet maker Clevo was demonstrating a 7-inch Android tablet with built-in digital TV reception that looks very similar to the Samjiyon. A give away is the position of the switches, slots and sockets on the case. 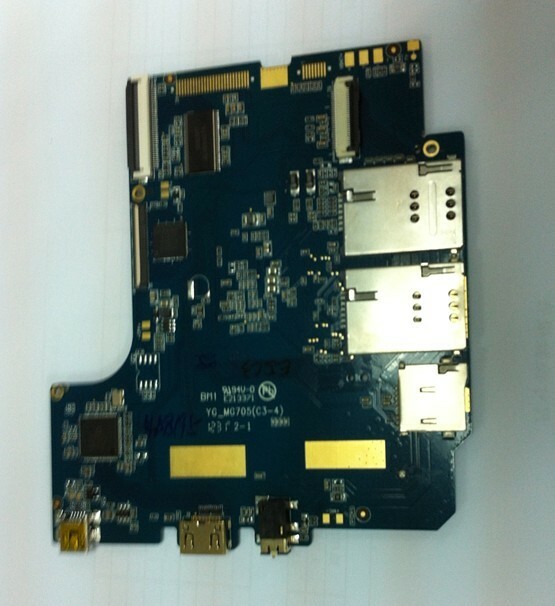 Clevo didn’t reply to several requests for details on the tablet, so I haven’t been able to confirm it’s based on the Yecon board, but it looks very similar. 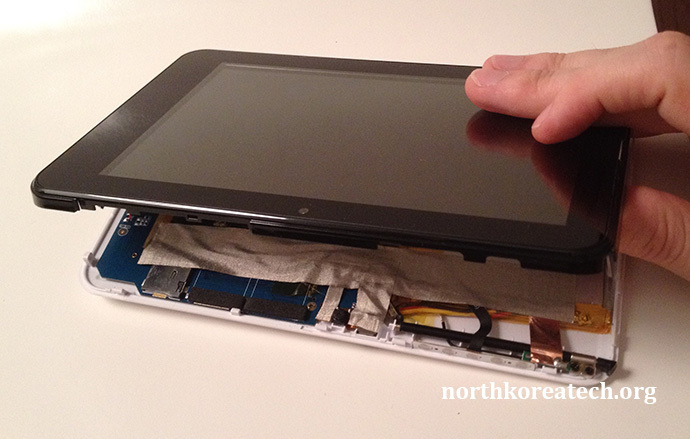 1 Comment on "Exclusive: North Korea’s Samjiyon tablet — Made in China?"